Are you looking for the best moisturizing BB Cream for Winters? Then L'oreal Revitalift Total 10 Repair BB cream might be an answer to your search with all its anti-ageing features infused with the BB cream. To Reveal More Read More!!! For the first time, L’Oréal’s skincare and make-up Laboratories have merged their expertise to create a new generation of skincare, an Anti-ageing BB Cream. It fights 10 signs of ageing and instantly gives you a beautiful and even complexion. INNOVATION: POWERFUL ANTI-AGEING INGREDIENTS COMBINED WITH A PERFECTING FOUNDATION INSIDE Pro-Retinol A,our most renowned anti-wrinkle active ingredient. Stimulift, a revolutionary ingredient developed to stimulate your skin’s natural lifters to plump and firm your skin from within*. A hint of L’Oréal Paris foundation pigment for impeccable coverage and an ultra-fine finish. This lightweight and quick absorbing formula leaves your skin silky and smooth whilst fighting 10 signs of ageing. 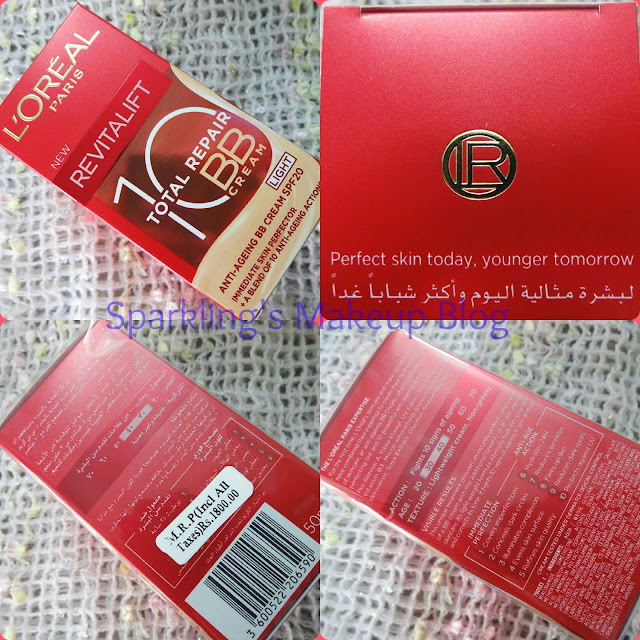 I am already fan of this sturdy packaging in Red Bright colour, a good lively colour for an anti-ageing range. My only complain is the big nozzle of the dispenser pump-head. Its so big that once you pump out required product much product is still on the nozzle, and if you lock it with the stopper, provided with in, the product in the nozzle oozes out and spread around the stoppers head and looks quite messy. This time I am not locking it with the stopper any more so the product in the nozzle remains where it is. It is a small plastic round bottle with all prints and bright red colours. The cap is transparent red plastic. Price is mentioned on the packaging. Net Quantity is 50 ml and will survive for 12 months. The packaging is SEALED. I am already impressed with L'Oreal's Revitalift range, remember the review post of Revitalift Total 10 Repair Moisturizer from My Mom's Diary? When I saw a BB cream from the same range, I was determined to get one. It promises all from flawless perfection, UV protection, Hydration and addressing almost all Ageing issues. Most of all its a BB cream in "LIGHT", although I haven't yet seen any other shade of it in the market. It has same big-messy nozzle but now I don't lock it with a stopper at all. The first swatch made me a bit worried as it appeared way to dark with yellow undertones for my light/fair skin, I blended and could see that yellow toned streak on my arm, I blended again, and Voila! when it was fully absorbed it totally sank into my skin, giving it a light tint and glow. I got it in Summers, when applied then it gave me a horrible day as its moisturizing factor made my face all oily, contributed with intense sweating. I knew then that it will be perfect for Winters and yes it is more than perfect. The texture is creamy. I found it more like a tinted moisturizer but it has all the features of a BB cream. It absorbs is skin very well. Although the swatch shows its strong yellow undertones but after blending onto skin there is no undertone but only a Natural coverage. Yes NATURAL it looks very natural. The tint gives a flawless look to face, even outs the complexion, without masking or faking it. The coverage is okey, as I don't need or expect much, but you can always use a concealer to hide any visible marks along this. I am sure it will be equally good for people with any complexion and undertones. I am loving it for my on-the-go look these days. I apply my regular Moisturizer and apply this, a Big pea size is enough to cover my face, put on a light makeup and I am ready! The moisturizing is at its best, I even applied it without my moisturizer and it gave a perfect even out glow to my face, no dry patches at all. It is very light on skin. 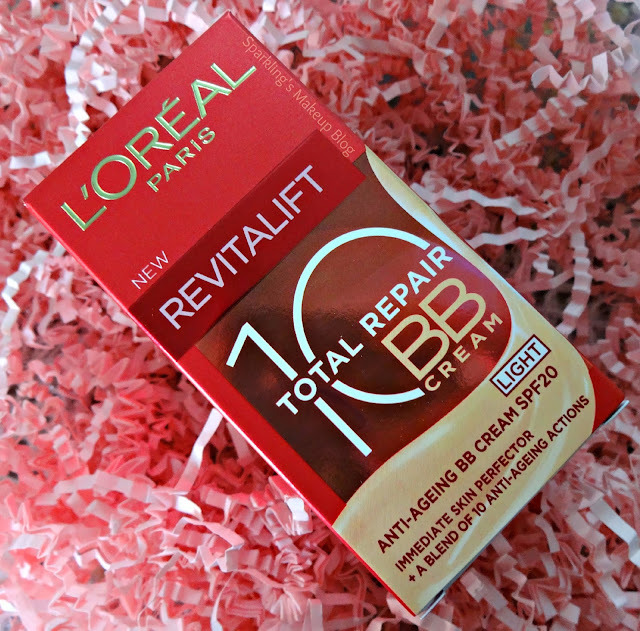 Now I have a BB cream which gives me even-tone, flawless complexion, full moisturizing with UV protection (SPF20) and is working on signs of ageing so Hi-5 to L'Oreal Revitalift Total 10 Repair BB cream in "Light". Equally best for Working Ladies and Housewives who are looking for a multi action product with Natural Coverage, no caking and faking . You're Worth it!!! Seems pricey, but trust me its worth it! 5/5. 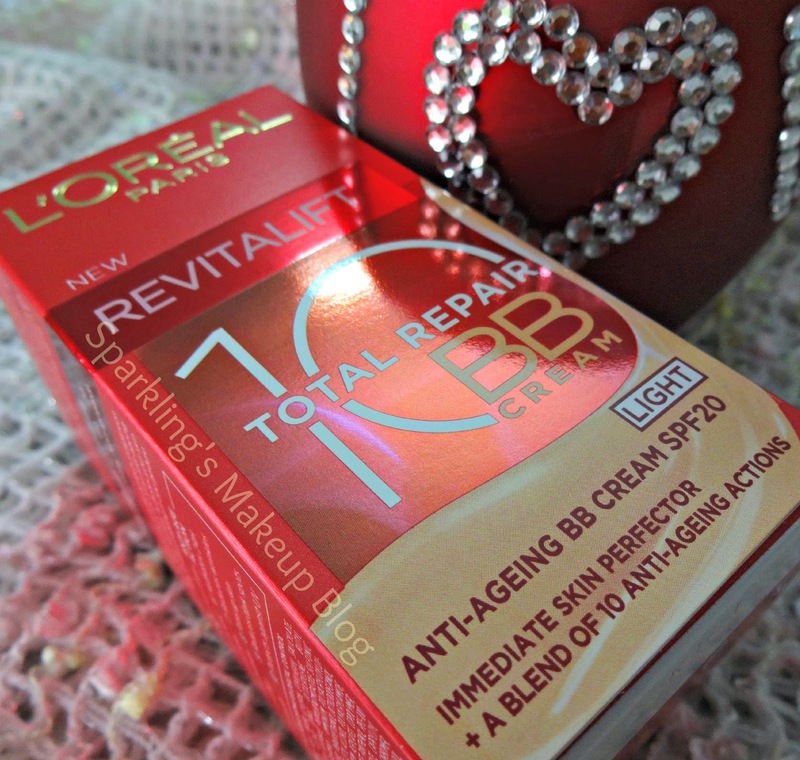 Highly recommended if you are into anti-ageing products and looking for a moisturizing BB cream. You're Worth it!!! Available nation wide at Cosmetics Store having L'Oreal Paris official counter or range for Pkr 1800/-. For online availability check Just4girl. 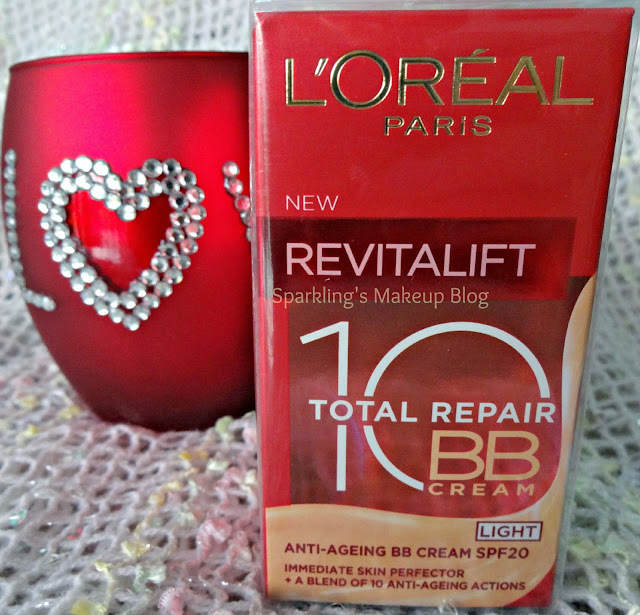 Hope you like this post on L'Oreal Revitalift BB cream. Do share your views, comment, share, like, tweet, G+ and Pin IT. 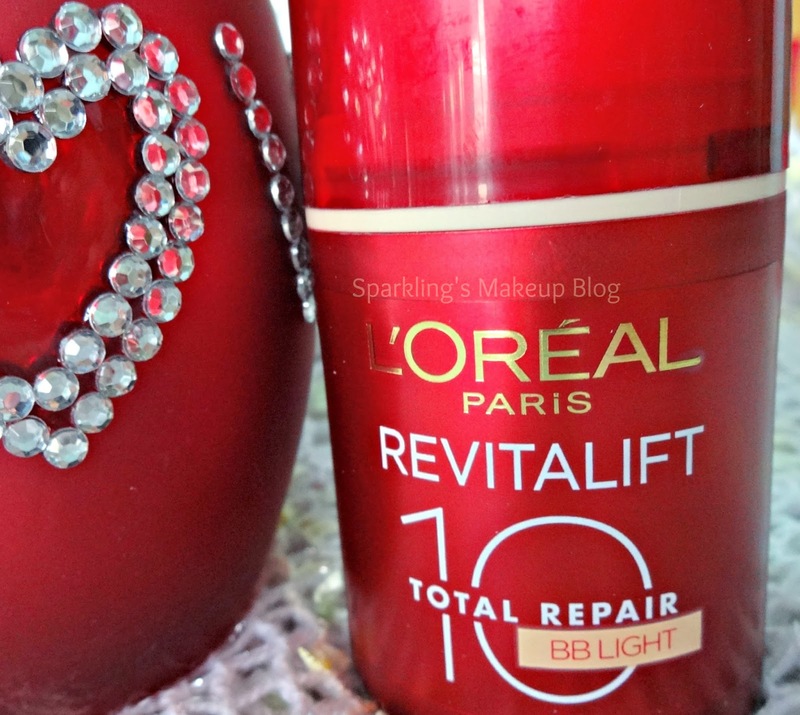 Do read other Sparkling Posts on BB Creams. 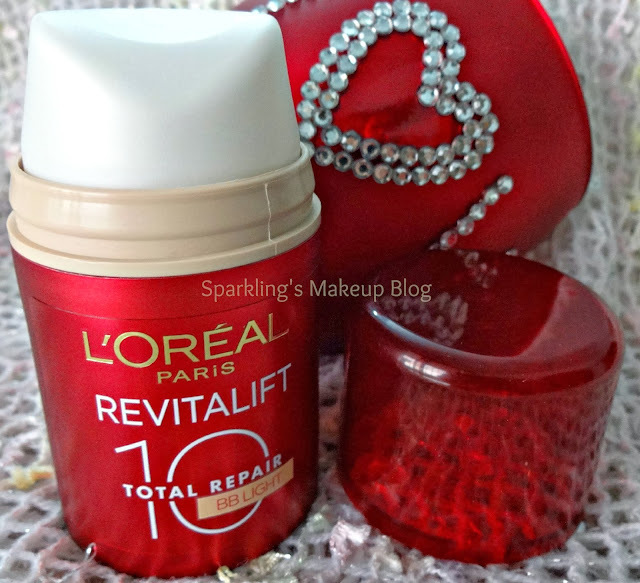 Do read other Sparkling posts on L'Oreal Paris. Which BB cream are you trusting this Winters? NOTE: This post may contain a PR post/product, my review and opinion is 100% honest with my readers. For details read the SMB POLICY HERE. Trust me its.worth a try. I love BB creams, this looks like it will suit olive complexions well. Dear its universal shade and suites all type of undertones, hope you like it too.